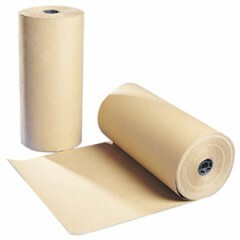 A selection of 88gsm pure kraft paper rolls. Made from pure kraft, these are the most popular kraft paper rolls on the market. All rolls are machine glazed to give a glossy finish and increase adhesion capability.